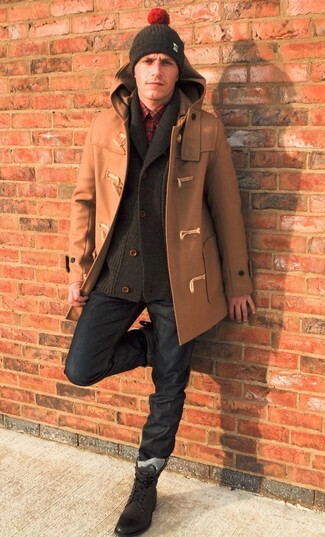 This combination of a camel duffle coat and navy jeans is very easy to pull together in no time flat, helping you look sharp and ready for anything without spending too much time going through your collection. When it comes to footwear, this outfit is round off wonderfully with Dune wide fit lace up boots in brown leather from Asos. If you're searching for a casual yet stylish look, dress in a navy quilted gilet and khaki chinos. Both items are totally comfortable and will look great together. To add more class to your look, finish off with Dune wide fit lace up boots in brown leather. For a smart casual look, pair a navy shawl cardigan with black chinos — these pieces the office perfectly well together. Look at how well this look pairs with dark brown leather casual boots. If you're on the lookout for a casual yet dapper outfit, pair a white long sleeve henley shirt with brown chinos. Both pieces are totally comfortable and will look great paired together. Got bored with this outfit? Enter Dune wide fit lace up boots in brown leather to jazz things up. 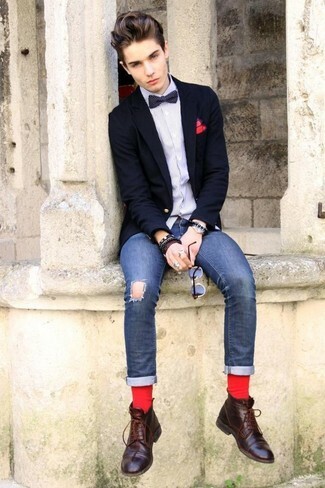 If you're hunting for a casual yet sharp ensemble, pair a dark brown wool blazer with blue skinny jeans. Both items are totally comfortable and will look great paired together. Rocking a pair of Dune wide fit lace up boots in brown leather from Asos is an easy way to add extra flair to your ensemble. 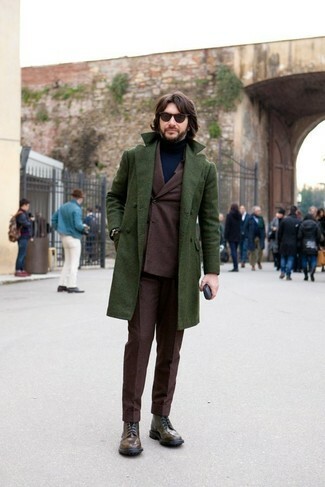 Choose a dark green overcoat and a dark brown suit to ooze class and sophistication. Want to go easy on the shoe front? 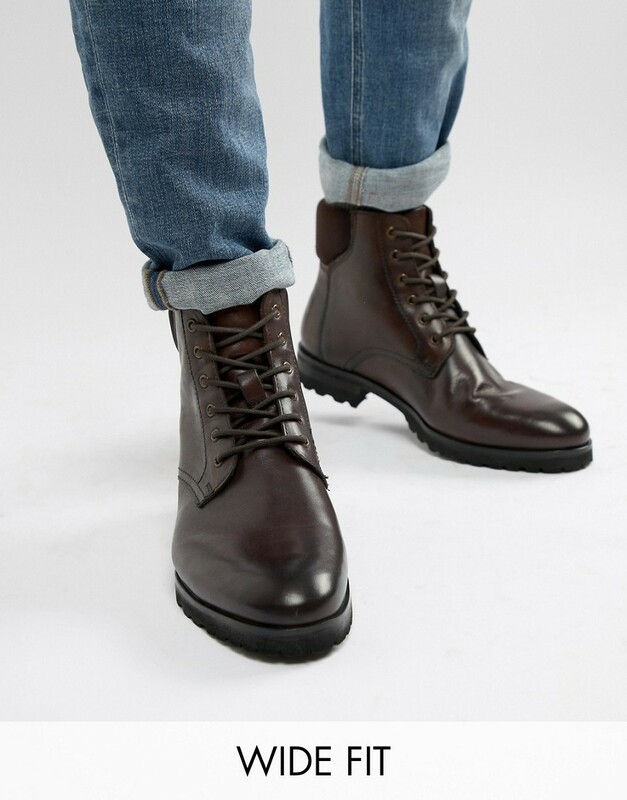 Go for a pair of dark brown leather casual boots for the day. For a smart casual outfit, team a black blazer with light blue denim shorts — these pieces play nicely together. 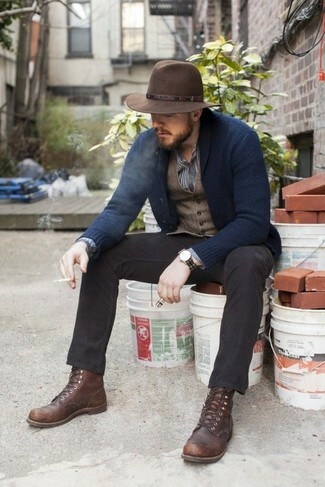 When it comes to footwear, this getup is round off wonderfully with Dune wide fit lace up boots in brown leather. If you're a fan of comfort dressing when it comes to your personal style, you'll love this stylish combo of a navy blazer and navy ripped skinny jeans. To add more class to your outfit, complement with Dune wide fit lace up boots in brown leather. 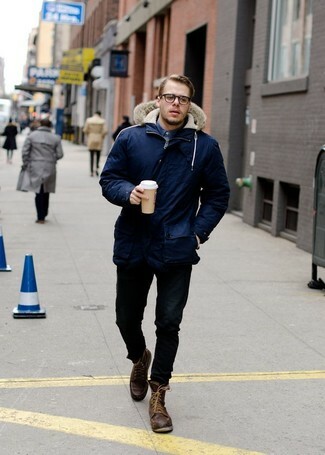 If you're all about comfort dressing when it comes to fashion, you'll love this easy combo of a navy parka and black skinny jeans. Bring a touch of sophistication to your look with dark brown leather casual boots.